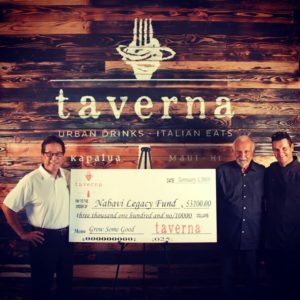 Taverna principal partner Chris Kaiwi, Nabavi Legacy Fund founder Paris Nabavi and Taverna executive chef Roger Stettler with the donation check. Courtesy photo. 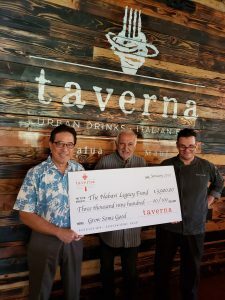 To mark its third year in business in Kapalua, Taverna presented its annual gift in the amount of $3,900 for programs benefiting Maui youth. 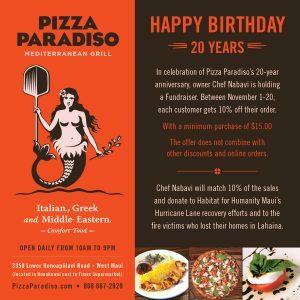 The funds were raised for the Nabavi Legacy Fund’s dining program, which partners with Maui’s favorite restaurants to raise money for programs that benefit local children. 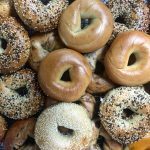 “Giving is the best way to kick off our three years of business at Taverna,” says principal partner Chris Kaiwi. 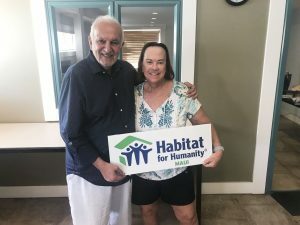 A grateful team invites the public to join in the Celebration Bash “Under the Stars” Saturday, March 23, 2019 at the Kapalua restaurant. The event is from 6 to 9 p.m. and costs $125 (all-inclusive). Enjoy eight guest chef stations and music by Gina Martinelli Trio. For tickets call 808-667-CIAO (2426). 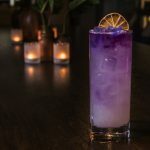 The award-winning Taverna features house-made pastas, wood-fired pizzas and other Italian dishes, with seating in its open-air dining room or spacious patio.